You save $6.20 Over 25% saving! 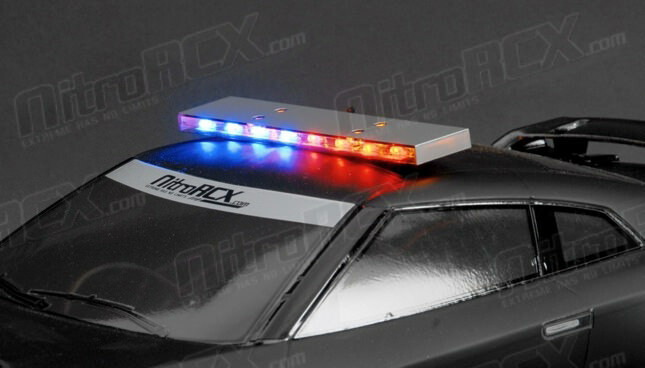 This LED light bar is the perfect addition to your law enforcement or emergency scale vehicle. The dimensions are sized to fit perfectly on a 1/10 scale body. 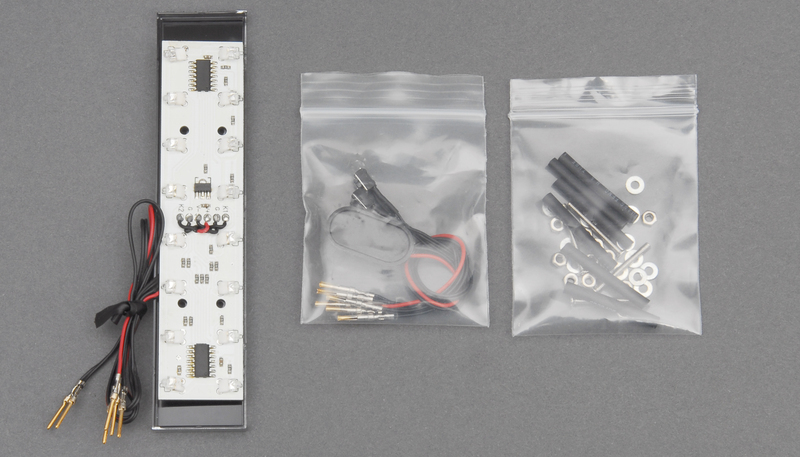 It features 16 total LED mounted on a chip board controlled by 2 momentary switches. 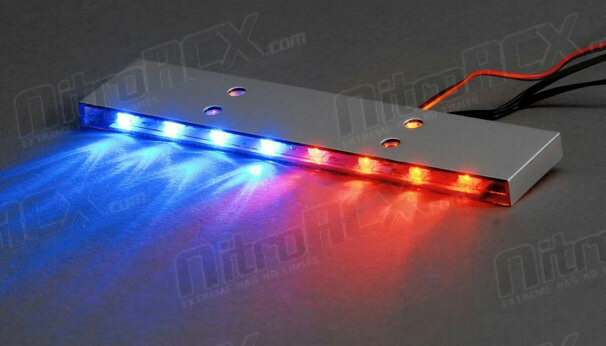 One switch controls the 4 red and 4 blue LED on the front panel, while the other switch controls the 8 amber LED on the rear. The switches also provide the choice of 9 different flash modes allowing different strobing patterns and effects. This bar will be the perfect finish on any RC or scale model. *The light will run on 3-12volts. Hook up a battery or power them directly from your receiver. *LED brightness will depend on the voltage supplied.